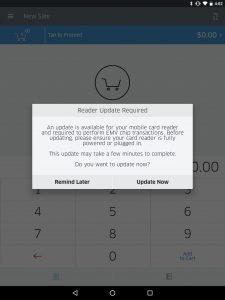 Please note: Your reader must be paired via Bluetooth before performing Remote Firmware Update (RFU). To connect, please see the section on Connecting Via Bluetooth for your specific reader. Here, click Update Now to begin the RFU process. If you are not prompted, you can check for firmware updates at any time by following the process outlined here. 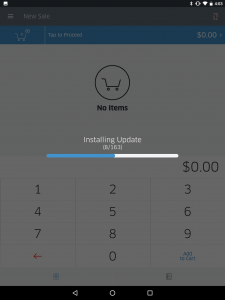 2) Once the update finishes downloading, the application will begin the install process. 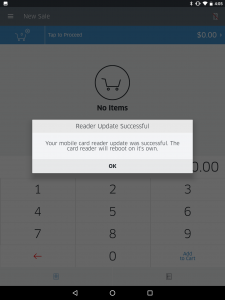 3) If successfully installed, you will see the Reader Update Successful dialogue. 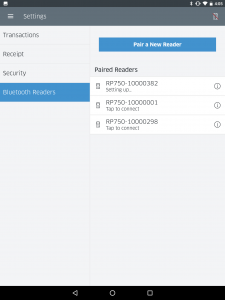 4) Finally, navigate to your Bluetooth Readers page in the Settings, and click on your reader to finish setting up & connect.